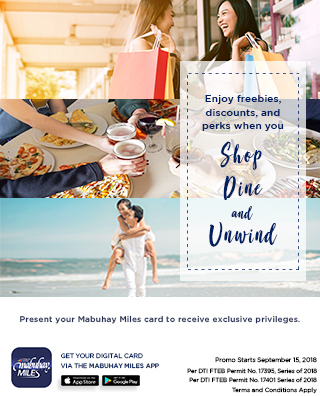 Mabuhay Miles members get 20% off on this Easter-rific celebration filled with fun for the whole family! Promotion is open to Mabuhay Miles Classic, Elite, Premier Elite, and Million Miler members. Go to the TicketWorld event page and select the preferred day and session. Enter the promo code EASTERMM. Promo runs until April 21, 2019.